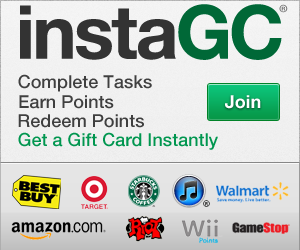 I wanted to share with you a way you can get a free $3 Visa gift card. I just received my $3 VISA gift card in my email, so I know it is 100% legit. All you have to do is download a simple extension to your computer or download the Shoptracker App. Shoptracker is part of Harris Polls Online. They like to study our shopping habits, and currently the one I signed up for was through Amazon. I personally enjoy survey sites and participating in research studies, and this was the easiest to do because there really isn’t anything binding you to stay a member. Everything is free. You just sign up, and that’s it. Basically all I did was download the app, connected it to my Amazon account. Answered a few of their questions and that was it. In 3 days I got my email with my $3 VISA gift card digital code. If you want to read about it for yourself, you can check out more information at the ShopTracker Website. If you are looking for more ways to earn cash and rewards online, click here.